The garbage collector who hauls Farmer Brown's trash away check the cans very carefully. 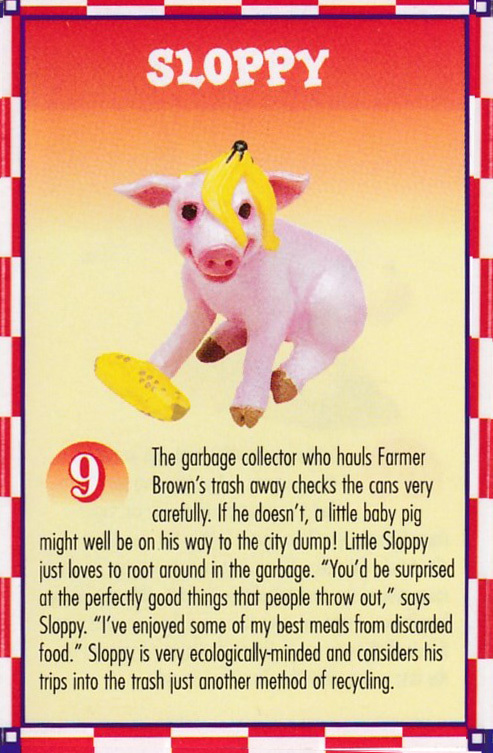 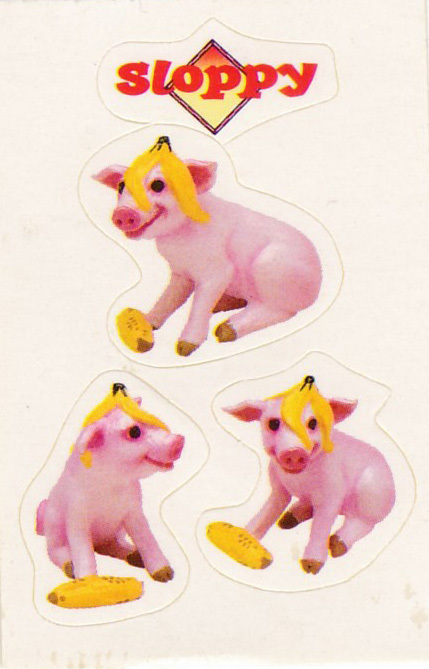 If he doesn't, a little baby pig might well be on his way to the city dump! Little Sloppy just loves to root around in the garbage. 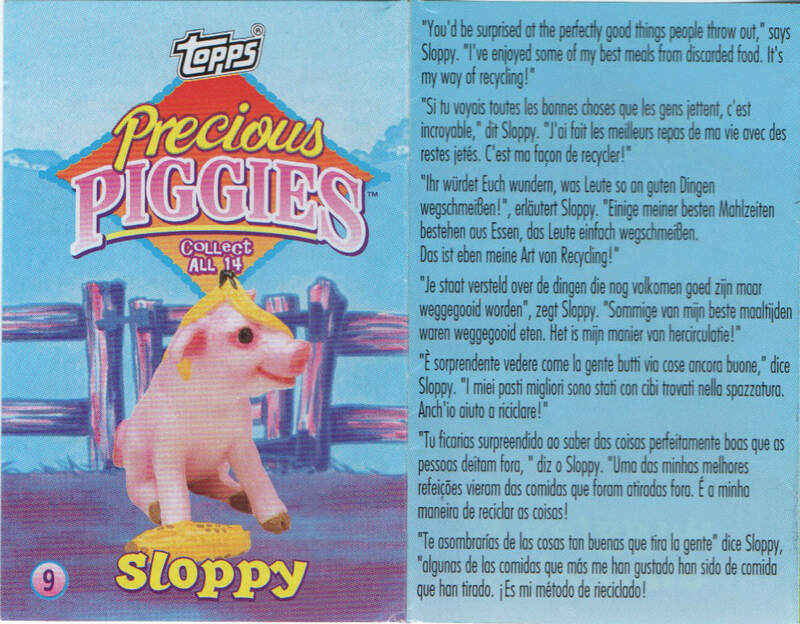 "You'd be surprised at the perfectly good things that people throw out," says Sloppy. 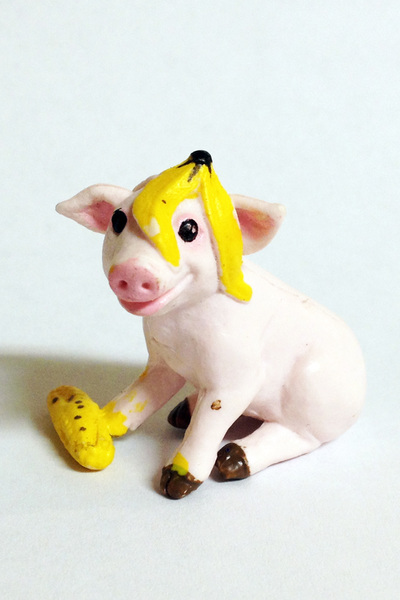 "I've enjoyed some of my best melas from discarded food." 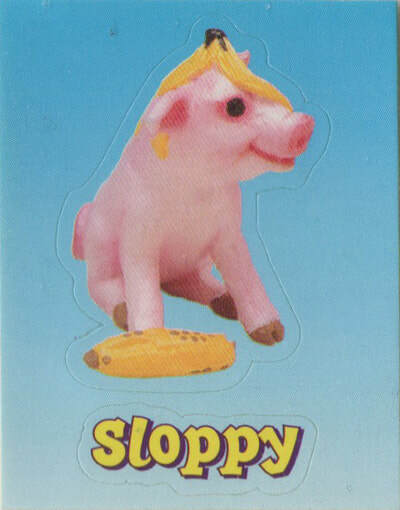 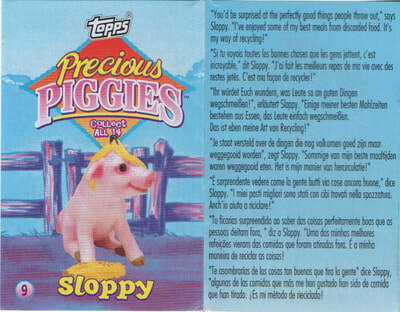 Sloppy is very ecologically-minded and considers his trips into the trash just another method of recycling.